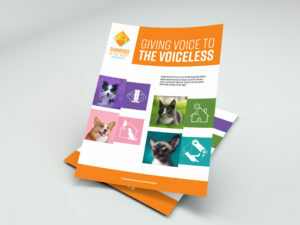 The fourth installment of our BrandHack event featured Diamonds in the Ruff Animal Rescue (DITR), a local non-profit looking for an updated logo, icon set and sales sheet in order to increase brand awareness and show people how to get involved with their organization. 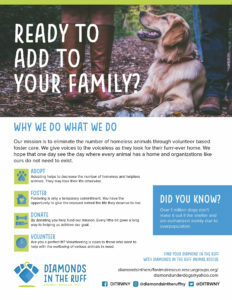 Diamonds in the Ruff Animal Rescue was formed in 2011 by a group of like-minded individuals with one goal in mind – to help and save the voiceless. 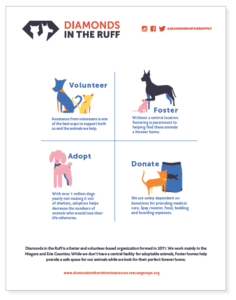 DITR is a foster and volunteer dog rescue in Niagara and Erie counties. 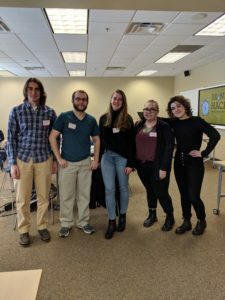 Three teams of students from St. Bonaventure, SUNY Buffalo State, and Hilbert College gathered at Hilbert on a cold Saturday morning. They were tasked with designing updated creative elements for DITR. 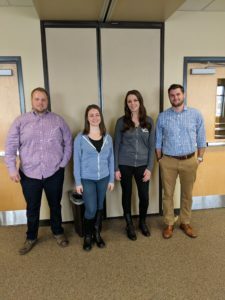 Three seasons professionals from the area each lead a team: Joe Conti from Luminus, Samantha Lonczak from Fifteen, and Megan Sweeney from Gelia. These creative pros provided guidance and advice for the student teams from brainstorming and development through to execution. 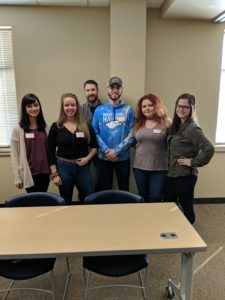 In true BrandHack tradition, teams had five hours to organize and create their ideas before pitching them to our two judges and the representatives from Diamonds in the Ruff. Our two judges, Frank Conjerti from martin. and Brian Benzin from Columbus McKinnon, offered their expertise throughout the event. They assisted to make sure the teams were on track and accomplishing what they had to deliver on a tight deadline. 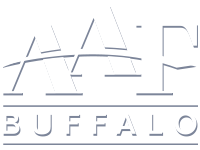 Meanwhile, DITR representatives Leandra Braham and Erin Boyd provided the students with valuable information as to the various needs of their organization, as well as their process for rescuing animals. Each team beat the clock and produced some well-executed, unique work along the way. Congrats to all the students and captains for being a part of another great event! 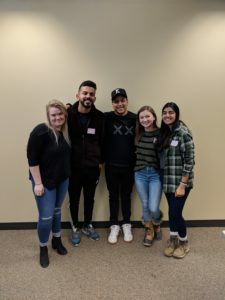 Check out the results of BrandHack 2019!